Most parents of the 21st century amuse me with their parenting skills. Especially when they take pride in all the cool things their tech-savvy 3-year-old kid can do. Be it the ease with which it logs on to YouTube and views videos of its choice, the speed with which it clicks pictures; or the efficiency with which the kid crosses levels after levels on candy crush! It is more of a “Brain crush” in my opinion. When I was 3, all I could do was to build up a building using colorful blocks, which tumbled more often that it would stay up. No doubt the kids these days are smarter and brainier, but is this over exposure of technology at such a tender age benefiting the kid or giving rise to some impending danger? The most notable case was of Apple co-founder Steve Jobs, who claims that he did not let his teenage children play with iPads and limited their tech consumption at home. It makes me wonder if my kid will be expected to do the same and compete with these ever rising benchmarks of IQ. Being a doctor and knowing the hazards and long-term effects it could have on a kid’s health, I would like to let my kid play in the gardens, discover his own games, enjoy nature, behave like his age and live his childhood to the fullest. I would want my child to make some real friends than thousands on Facebook, to make a few unforgettable memories rather than clicking a hundred selfies, to win hearts more than games and to share more feelings than posts on the social network. With the alarming rise in the number of cases diagnosed with ADHD, Anxiety disorder, depression, autism, OCD, etc., every parent needs to give it a second thought as to how they should be tackling with this Tech problem. By means of this blog, I will be highlighting the utmost necessity of bringing radical changes in our parenting skills and upgrading ourselves with the fast upgrading times. On an average, children get exposed to media for over three hours in a day. This includes television, computer, cell phone, tablet, video games, etc; the time increases from the toddler to preschool to school-age years. The study also found that 28% of two-year-old’s can navigate a mobile device without help. Poor Brain development : Human brain grows to the fullest in the first five years of age. Early brain development is decided by environmental stimuli like movement, touch, human connection and exposure to nature. Stimulation of the developing brain due to the over-exposure of technological devices is found to be giving rise to attention deficient, cognitive delays, impaired learning, etc. Obesity : Childhood obesity has been at an all-time high in the last five years. In India alone, there have been more than 10 million recorded cases every year of childhood obesity. Technology reduces the child’s over-all physical movement, making it sedentary and readily available without having to put in any efforts. Developmental Delay : Movement is one of the factors influencing the motor, social, cognitive, as emotional skill development. It helps in developing muscles, bones, and joints faster. Technology, thereby affecting the movement of the child, leads to developmental delay. 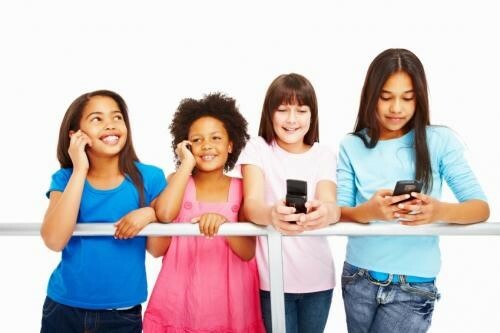 Poor posture : Using hand-held devices promotes poor posture in children. They spend most of the time hunched over or looking down the screen. It is a common practice to watch TV lying on the couch. Poor posture over a long period of time can lead to back and neck pain, cervical spondylitis, subluxations, or misalignment of child’s spine. Radiation : In May 2011, WHO (World Health Organisation) classified cell phones (and other wireless devices) as a category 2B risk (possible carcinogen) due to the radiation emission. Also, children are more susceptible to radiation than adults as their brains and immune systems are still developing. Our children are the future and to build a healthy future, we, as parents, need to take some radical measures. What we need to do is just let the kids be kids! Set aside two hours daily so that the kid can step out, play, make friends, socialize. Inculcate a habit of reading books, stories, painting, scribbling, etc. which will challenge their imagination. Take out time, plan short trips to the nearest beach, forest or garden; something that will keep them close to nature. We, as adults, need to inculcate a habit of keeping our phones aside and TV turned off when we are home. Kids are quick learners and imitators, they learn and imitate what we do. Spend quality time with your kid. With the competitive world waiting for your child, make sure that the first 5 years of his age are qualitative; so that he/she is prepared enough to face all the challenges in future.